Should SHTF, you will need vital nutrients for energy and to improve your immunity from common diseases. Aside from vegetables and nuts, fruits are some of the best natural sources of essential vitamins and minerals. Fruits, however, are not created equal – some are simply more nutritious than others. Both plums and prunes are a rich source of nutrients that include vitamins A, B, C, and K, potassium, copper, magnesium, and manganese. These include antioxidants that protect you from cell damage and boost your immunity. Consuming plums is also a great way to maintain healthy bones, which you will need to survive in emergency situations. 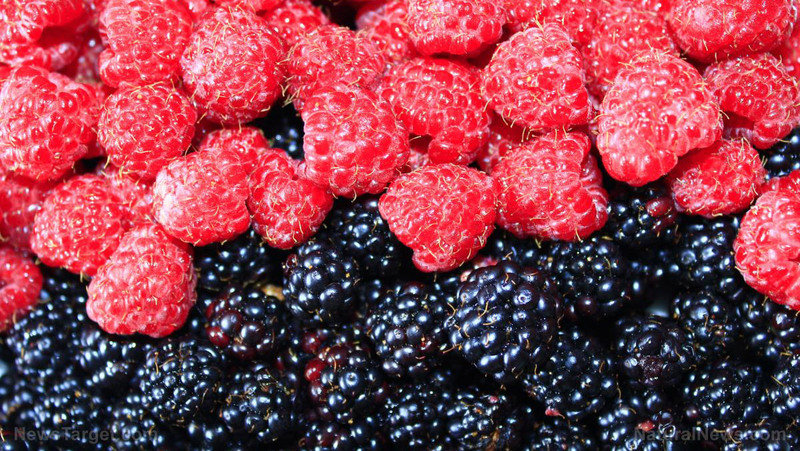 These small berries aren’t just good, they’re extremely healthy, too. What they lack in calories, they make up for in the sheer bulk of their nutritional content – they have one of the highest concentrations of antioxidants in any fruit. Their phytochemical content also supports brain function and memory, helping you stay focused and alert. Studies also indicate that eating them can help reduce damage to your muscles after intense physical activity, helping you recover faster. These berries are high in vitamins C and K, which help boost immunity and the strength of your bones. They also help keep your brain active. Blackberries contain a considerable amount of dietary fiber which not only helps keep your heart and digestive system healthy, they also help keep you full longer, which is a great help when you need to ration your food supply during emergencies. These red berries contain plenty of vitamins and minerals. Their antioxidant content boosts your immunity, protects you from infections, and reduces your risk of developing serious conditions like cancer later on. Eating raspberries also supports great vision. Your eyes will be among your most useful senses in emergency situations, allowing you to spot everything from danger to potential aid, so consuming foods that keep them healthy will be to your advantage. Eating an apple a day won’t actually keep the doctor away, but it will definitely make you healthier. Apples are sweet, but they can help you lower your blood sugar levels. They also contain plenty of fiber that aids in curbing hunger and cravings. This fiber also serves as food for the bacteria in your gut, which themselves are essential for improving both your immunity and your digestive system. If you have asthma, you’d be pleased to know that the antioxidants in apple help lower the incidence of asthma. Besides being a wonderful treat, strawberries provide nutrients that preppers need. It helps protect from various allergies and enhances your protection from various common health conditions through its vitamin C content. If you are prone to gout or arthritic pain, consuming strawberries can help. Some sources suggest that strawberries can even improve your mood. These fruits are a rich source of vitamins A, B1, B2, B6, and K, potassium, calcium, and iron, among others. This combination of nutrients makes them great for keeping your bones strong and healthy, as well as lowering your risk of developing cancer and cardiovascular disease. Figs also help maintain healthy bowel movement by preventing constipation. Find out which fruits are best for optimal health at Fruits.news.